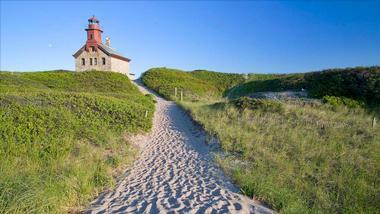 Rhode Island has an astounding 400 miles of Atlantic coastline and boasts the sailing capital of the world, Newport. 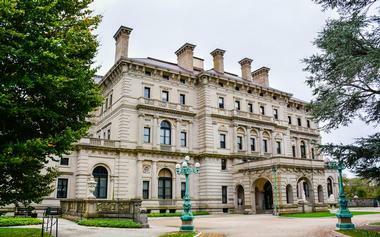 You'll find Gilded Age Mansions like The Breakers, The Elms, Marble House where Alva Vanderbilt once held women's rights rallies, and several other grand estates. In Providence, RI you can take advantage of a full roster of theatrical performances in the city's downtown arts and entertainment district. The Cliff Walk was designated a National Recreation Trail in 1975, the first in New England. This unique 3.5-mile walk combines the stunning natural beauty of the Newport shoreline with its premier architectural history in the National Historic District. Guests will be delighted by the geology, wildflowers, and birds while walking from smooth paved pathways to rugged and rough terrain along the shore. One minute visitors will be passing through manicured lawns on private property, and the next they'll be scrambling across sandy boulders or staring into a 70-foot drop. 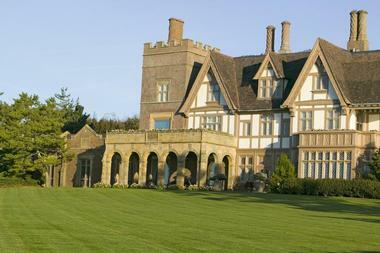 The stunning views coupled with the mixture of history and nature make this a top attraction in Newport. The Beavertail Lighthouse Museum is the third oldest lighthouse in North America, sitting on the southernmost point of Jamestown, Rhode Island. 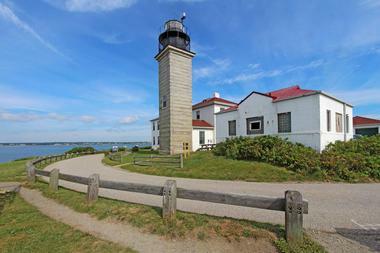 This historic lighthouse boasts a museum that offers a collection of artifacts and informational material on the lighthouse itself, Narragansett Bay's maritime science, technology, and art pieces depicting the culture of the community. In addition to the museum, guests can climb the tower via 49 steps up a spiral staircase and a 7-foot ladder that opens onto the observation catwalk. The reward is an epic view of the bay and skyline. There is a museum gift shop and also open space at adjacent Beavertail State Park. The RISD (Rhode Island School of Design) Museum is housed in five buildings on the historic East Side of Providence. They've created a space where culturally diverse designs and artwork from ancient times to the present are maintained, exhibited, and interpreted. They house nearly 100,000 art pieces covering seven departments that include Asian art; ancient art; contemporary art; costume and textiles; painting and sculpture; prints, drawings, and photographs; and decorative arts and design. Visitors can explore the galleries using their cell phones to tune in to the museum channel and listen to artists, designers, scholars, and students talking about exhibits and objects. The Elms became a National Historic Landmark in 1996 after having been occupied from the late 1800s to the mid-1960s by the Berwind family. Used as a summer home, Mr. Berwind commissioned architect Horace Trumbauer to construct it, drawing inspiration from the mid-18th century French Chateau d'Asnieres. The stately home was completed in 1901 and featured interior designs and furnishings by Paris designers Allard and Sons. 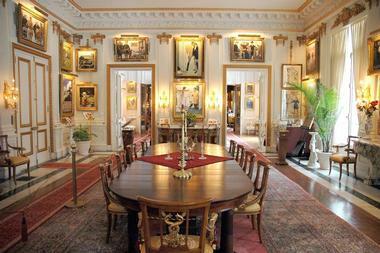 It became the backdrop to Berwind's accumulation of 18th century oriental jades and French and Venetian paintings. Guests can see this lovely home, artifact collections, and intricate Classic Revival gardens by joining one of the hourly Servant Life tours or audio tours. The Marble House was designated a National Historic Landmark in 2006 after changing hands from Alva Vanderbilt to Fredrick H. Prince in 1932, and then to the Preservation Society in 1963. Designed by architect Richard Hunt and modeled after the Petit Trianon at Versailles, it was a gift to Alva Vanderbilt from her husband. 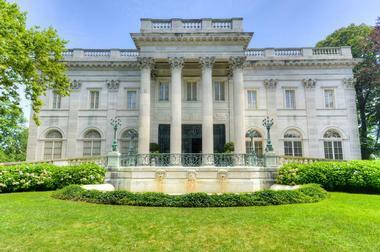 The home served as an architectural and social landmark, becoming the first home to begin transforming the Newport neighborhood of summer homes into an opulent vacation resort area for the elite. Years later, Alva Vanderbilt had a seaside tea house built on the property where she held women's rights rallies. Audio tours are available. 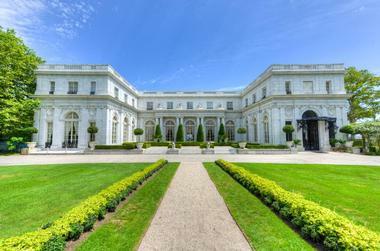 The Breakers is a National Historic Landmark comprised of a 70-room Italian Renaissance-style palazzo, stable, and carriage house. Originally a premier summer cottage purchased by the esteemed Vanderbilt family in the late 19th century, a fire burned its wood-framed structure to the ground. This allowed for the construction of the grand estate, inspired by the Genoa palaces of the 16th century, to be created. Open to the public since 1948, guests can tour the impressive grounds where one-of-a-kind sculptures by Karl Bitter and pristine architecture by Ogden Codman are eloquently featured. Beneath the Breakers tours are offered every half hour, where guests learn of the rich history the Vanderbilts brought to steamships and railroads. When traveling to Martha's Vineyard, there is no faster way to get there than with Martha's Vineyard Fast Ferry, which travels between Quonset Point, RI, and Oak Bluffs, Martha's Vineyard. Known for being the most opulent fast ferry on the island, it's a great alternative to Cape Cod traffic. The new Ava Pearl fast ferry allows guests to relax in the business class-designed interior featuring plush Beurteaux seating and flat-screen satellite televisions. The high-tech ride control system is world class, allowing for a smooth ride. Riders can choose to cross in the upscale air-conditioned interior or on the beautiful sundeck. The Providence Performing Arts Center is a world-class venue in the heart of the arts and entertainment district of Providence, Rhode Island. Open since 1928 under the name Loew's State Movie Palace, it has long been considered the Jewel of Weybosset Street. Listed on the National Register of Historic Places and voted one of the world's top venues by Pollstar, it is the second biggest theatre of its kind in New England, boasting a full roster of contemporary and theatrical performances annually. Visitors will love the many world-renowned productions throughout the year, such as The King and I produced by Rodgers & Hammerstein. 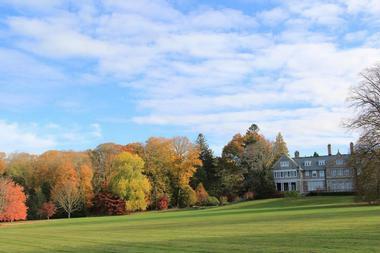 Rough Point is the shoreline estate of Doris Duke - heiress, art collector, and philanthropist. The estate remains exactly as she left it, with stunning French furniture, opulent European art on the walls, Flemish tapestries, and her collection of Chinese porcelains. When its season opens in April each year, guests are welcomed on guided tours of the house and on self-guided exploration of the exquisite grounds and gardens. Exhibitions change annually, including the 2016 Waterscapes exhibition prominently displaying Doris Duke's collection of Shangri La art pieces, and the 2017 Nature Tamed exhibition, visualized in garden, landscape, and estate collections. Fort Adams State Park is the biggest and most intricate complex coastal fortification in the nation, built between 1824 and 1874 in Newport, Rhode Island. 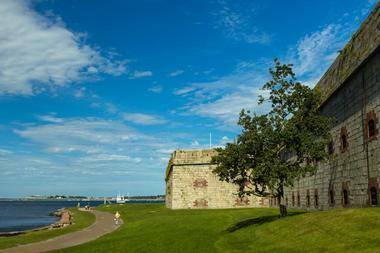 This fortress, surrounded by Narragansett Bay, was active during World War II; it was able to mount over 400 cannons and house just under 2,500 troops. Now inactive, guests are welcome to tour the grand facility on hour-long guided walks from the top of its massive walls to the depths of its underground tunnels. Visitors can also experience a sunset walk around the perimeter of the state park. The 2.5-mile jaunt offers exemplary views. The Roger Williams Park Zoo in Providence is one of the oldest zoos in the nation; it spreads across a stunning 40-acre park. 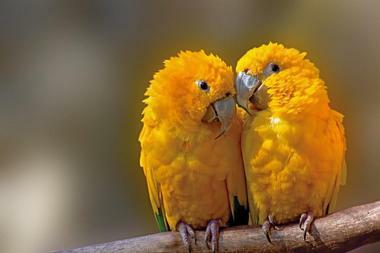 Visitors have a chance to watch and interact with various animals from all over the world. The North America exhibit features swimming harbor seals, majestic bald eagles, and grazing bison. The World of Adaptations exhibit features the best of Australia, including laughing kookaburra, hopping kangaroos, gregarious gibbons, and many others. Guests will delight in the only “rainforest” in the state at Tropical America, and take a walk through time with Marco Polo's Adventure Trek, among other wild experiences. The Rosecliiff Mansion was commissioned by Theresa Fair Oelrichs, a Nevada silver heiress in 1899. Modeled after the Grand Trianon - the garden oasis of French kings at Versailles - and designed by architect Stanford White, it was completed in 1902. Throughout the years, Mrs. Oelrichs hosted lavish parties, including her famed fairytale dinner with special guest magician, Harry Houdini. The mansion was eventually gifted to the Preservation Society by subsequent owners Mr. and Mrs. J. Edgar Monroe, complete with furnishings and an endowment, in 1971. It's currently open to the public for tours and private events and features annual exhibits. 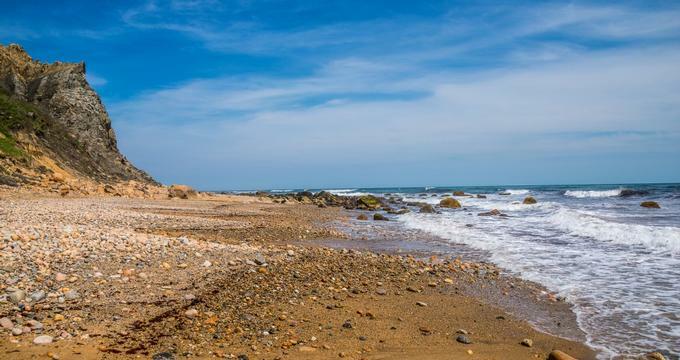 The Southeast Lighthouse sits atop the Mohegan Bluffs, which rise precipitously to a height of almost 200 feet above sea level and span nearly 3 miles of the southern shore known as Block Island. 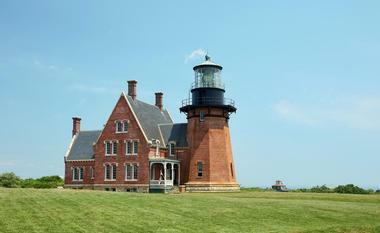 The original lighthouse and attached keeper's dwelling was built in 1829. The design is notable for its Victorian and Gothic Revival influences with the use of red brick on a foundation of granite blocks. The lighthouse is available for guests to explore seasonally, arriving by ferry, private boat, or via an aircraft. Guided tours are available per request at the quaint shop at the tower's base. 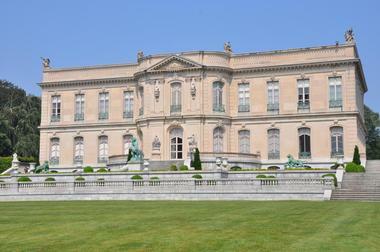 The National Museum of American Illustration (NMAI) is housed on 3 acres of land in Vernon Court, an 18th century inspired French chateau. 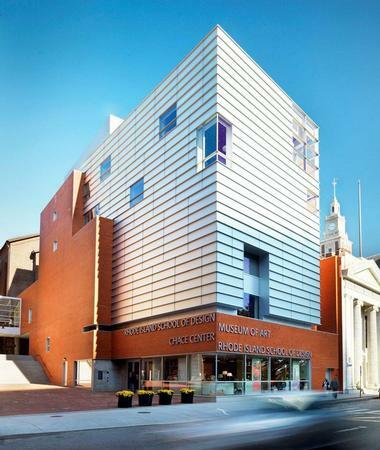 The museum was founded in 1998 by Laurence and Judy Cutler as a place for their collection of mostly Golden Age American Illustration art to reside. 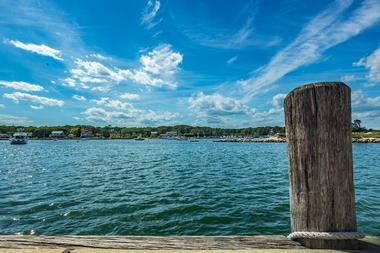 Bowen's Wharf is one of the premier natural harbors in New England - a year-round destination that has a little something for everyone. Visitors will feel as though they've been transported to a different era with the brick walkways, granite docks, and 18th-century commercial buildings from the thriving seaport's beginnings. Known as the anchor of Newport, businesses on the wharf trade with countries from all over the world providing excellent shopping and dining opportunities. 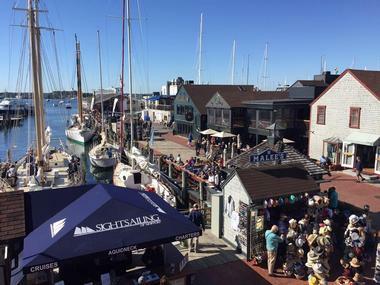 Guests to the wharf can engage in various activities from harbor cruises, sunset sails, and parasailing to boutique shopping, wine tasting, and gallery hopping. 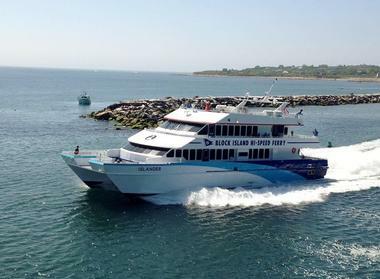 The Block Island Ferry has its home base in Point Judith, RI, offering traditional and high-speed ferry services from Narragansett to Block Island as well as seasonal rides from Newport, RI, and Fall River, MA to the island. Guests who opt for the traditional ride will enjoy a leisurely glide across the water enjoying serene views on a 55-minute voyage. For go-getters, it's all about the high-speed ferry; at 30 minutes, it's the fastest trip from the mainland to the island. Guests may also book the ferry for private charters to Block Island, where the famous Southeast Lighthouse awaits their arrival. 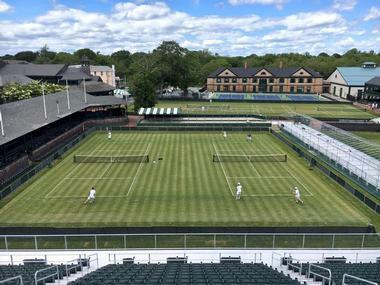 The International Tennis Hall of Fame (ITHF) is committed to the preservation of the game of tennis and the celebration of the sport's greats, as reflected in the museum and historic grounds. ITHF resides within the Newport Casino, a National Historic Landmark and social club that opened in 1880 for Newport's summer elite. Its museum displays roughly 2,000 artifacts of the ITHF's impressive collection of over 25,000 objects, publications, videos, and photographs. Museum guests will be captivated by interactive experiences with exhibits and learn about the history and evolution of tennis over time with comprehensive narratives. 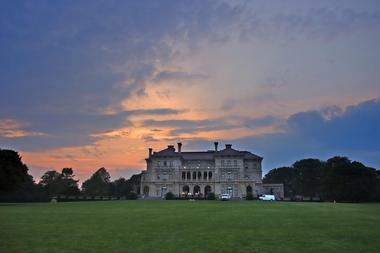 The Blithewold Mansion, Gardens & Arboretum is a summer estate that sits on 33 acres of land with majestic views of Narragansett Bay. This nationally significant estate is supremely important to American history as it features one of the only authentic, matured examples of the Country Place Era. Blithewold consists of 45 preserved rooms with family heirlooms, a greenhouse, and an array of beautiful gardens surrounding the property. Each garden has a specific personality, be it mysterious, poetic, practical, or exotic. Inside the estate, guests will note several collections and exhibits that display late 19th and early 20th-century New England culture. It is a surprise to many visitors to find edgy, thought-provoking modern art in a quaint seaside town where charming seascapes are much more expected. 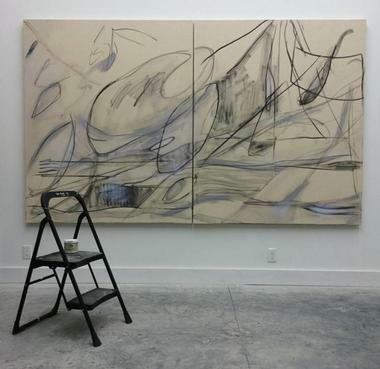 Large One Way Gallery in downtown Narragansett offers a space for local and regional emerging and younger artists. On the gallery walls there are graffiti, cartoons, artwork with pop cultural influence, works commenting on pressing current issues, as well as abstract art and art with a touch of irreverence. Every summer in July, One Way Gallery hosts the Summer Salon, presenting works of art by about 30 national and local artists. The show is the gallery’s main event and attracts the attention of art lovers and art critics from all over the country. The Biomes Marine Biology Center (BMBC) is the most hands-on aquarium in New England and the only private marine education facility in the area. Since opening in 1989, BMBC has been committed to offering interactive marine biology programs to their community featuring marine animals straight from their local waters, the Atlantic Ocean, and Narragansett Bay. It takes guests roughly 2 hours to check out all the exhibits, which include species native to their waters and a few exotics who made their way to New England. 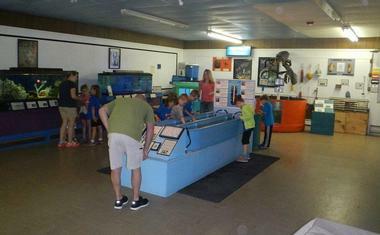 On the weekends, visitors can check out feedings for some species, from tortoises to stingrays. Newport Vineyards has been bringing a Napa Valley experience to Rhode Island since 1977 from its original location on a hillside overlooking Rhode Island Sound. Committed to both creating fine wines and lovingly preserving the agricultural land, Newport Vineyards offers guests an exceptional experience. 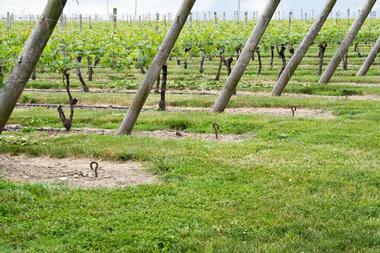 This now 60-acre vineyard thrives on Aquidneck Island and provides visitors with a chance to tour the impressive grounds while sipping one-of-a-kind wines. Guests can get a behind-the-scenes look at the process of winemaking, enjoy a 30-minute outdoor vineyard tour, and end the excursion in the tasting room or outdoor patio for a few samples of local wines. Wright's Dairy Farm and Bakery has been in the dairy business for more than 100 years, and they are committed to providing quality dairy products to their consumers. Guests can experience an up-close and personal view of cows getting milked every afternoon from 3 pm to 5 pm. Following the milking, they can head over to the bakery for fresh dairy milk and pastries. It only takes 24 hours to get the milk from cow to bottle, which results in a slightly sweeter taste than mass-produced, non-local milk. Bonus - it will last longer in the refrigerator, too! Guests can also purchase sweet treats and blocks of cheese from the onsite bakery. 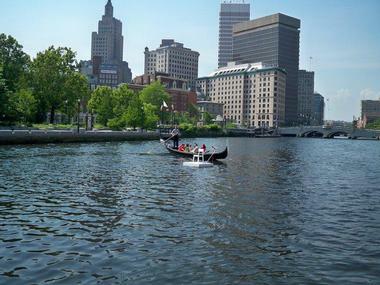 La Gondola provides guests with a completely unique way of exploring the renaissance city of Providence. Whether they are looking for a romantic excursion for two or a fun night out for a group of friends, La Gondola has the evening covered. They feature six tour packages that include excursions like Viaggio dei Sogni, a basic 40-minute trip along the Providence and Woonasquatucket Rivers. Guests pass by historical landmarks and glide under stone bridges while eating handmade Italian wine biscuits, sipping wine, and listening to authentic Italian music. Packages like the Viaggio dei AcquaFuoco (WaterFire), take guests out during the famous WaterFire lighting in the square. Experience Rhode Island Tours is a family-owned and operated business started by two local brothers who wanted to show visitors everything there is to know about the Ocean State. They offer a wide variety of tour packages, including historically themed tours like Rhode Island and the American Revolution and Roger Williams: His Life and Legacy. 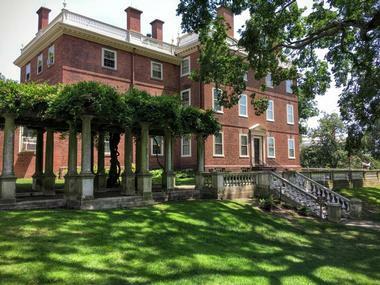 Rhode Island living tours provide visitors with a look back through history at what life was like in specific areas of the state, like their Country Rhode Island and Life on the Bay tours. They also offer one-of-a-kind excursions, such as the Blackstone River Valley - America's most unique national park. The John Brown House Museum allows guests to take a step back in time to the 18th century, when the post-Revolutionary War United States was progressing. The house was originally built in 1788 by wealthy businessman and slave trader John Brown. He was one of the most influential men in the state and enjoyed great wealth and political clout. Visitors will learn about Rhode Island's role in U.S. history through some of the nation's most controversial topics of the times - slavery, the American Revolution, and trade with China. 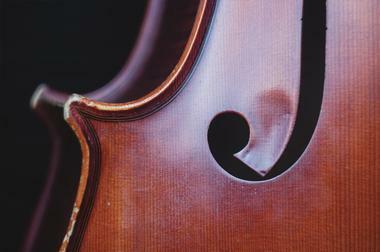 Both docent-led and audio self-guided audio tours are available Tuesdays through Fridays. WaterFire Providence is a living, breathing work of art in the form of fire. Located in the capital city of Rhode Island, it comprises 100 flaming braziers floating on water installed across the three rivers of downtown Providence. The visual spectacle releases an aromatic wood smoke scent into Waterplace Park, accompanied by music, while casting the park and bridges in ethereal light. The artistic display has drawn in more than ten million visitors to date, who delight in walking along the arched bridges watching the fire tenders passing the flame through torch lit boats gliding down the river, and basking in the sweet sounds of music from around the world.